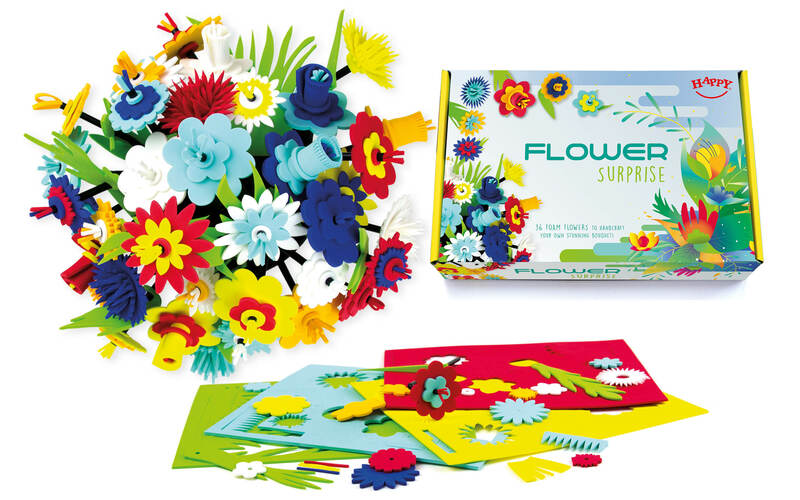 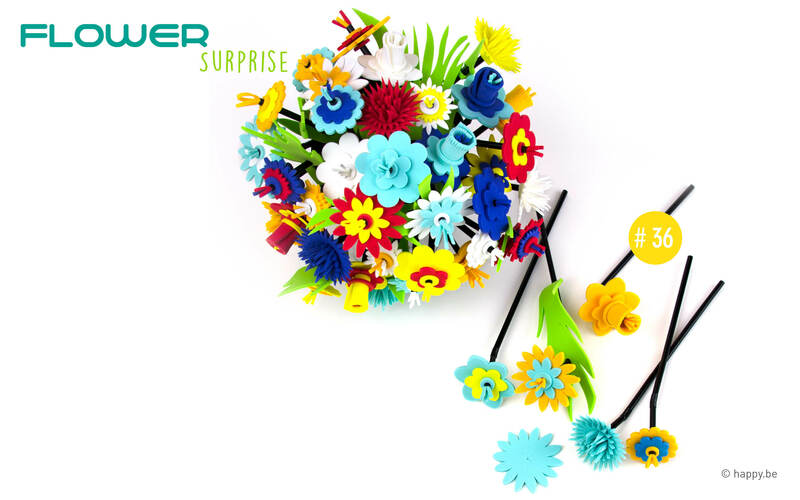 The Flower Surprise packaging includes 7 precut flower foam sheets & 36 black straws, to create 36 flowers. 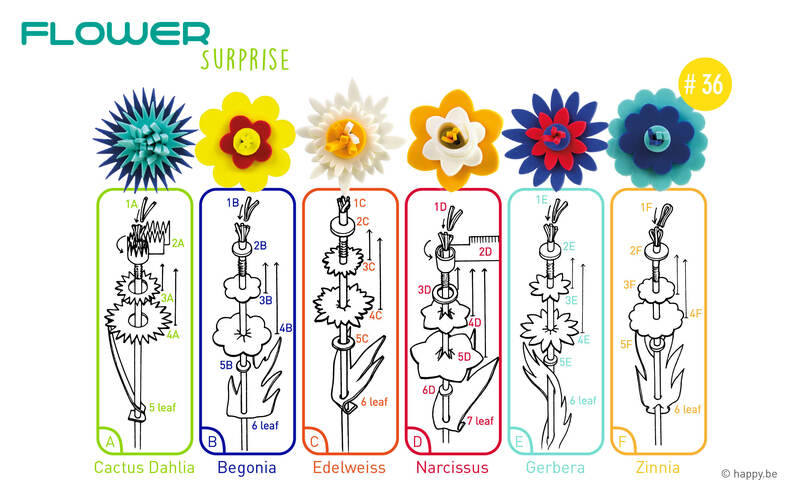 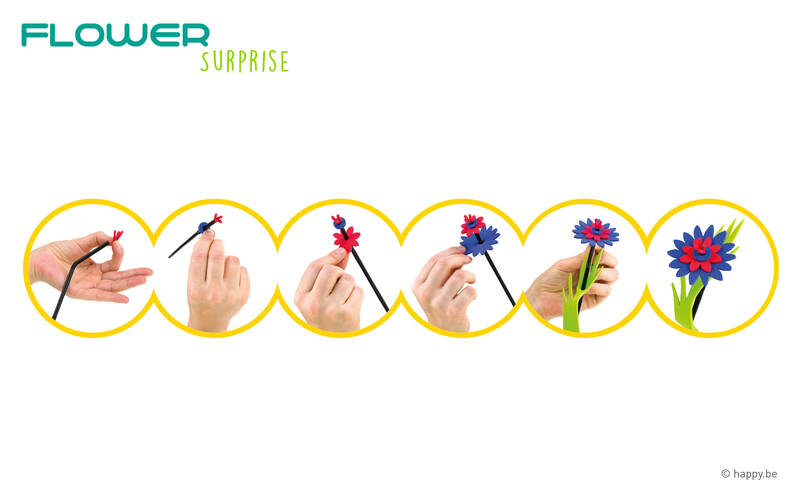 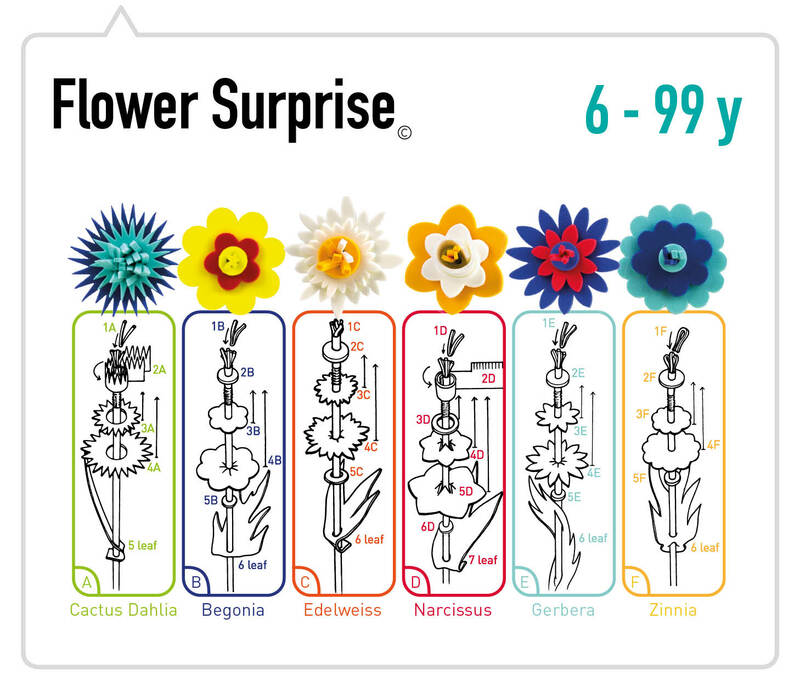 Create up to 36 Flower Surprise using the example designs provided… or let your imagination blossom. 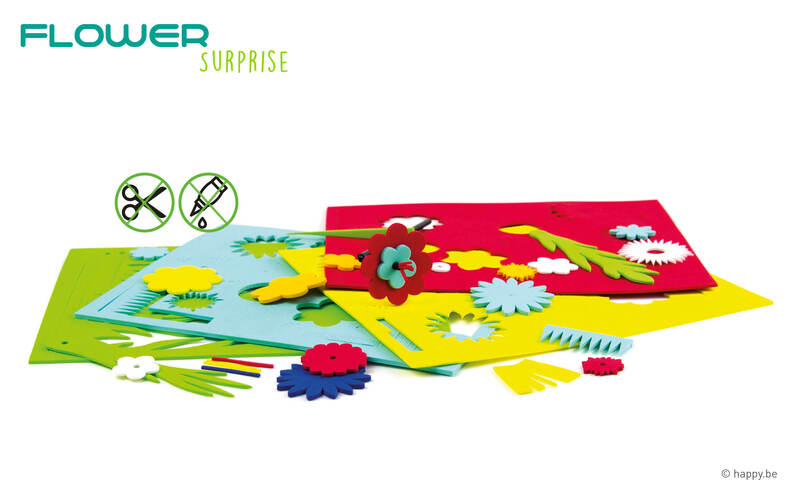 No glue, scissors and no mess, just hours of fun! 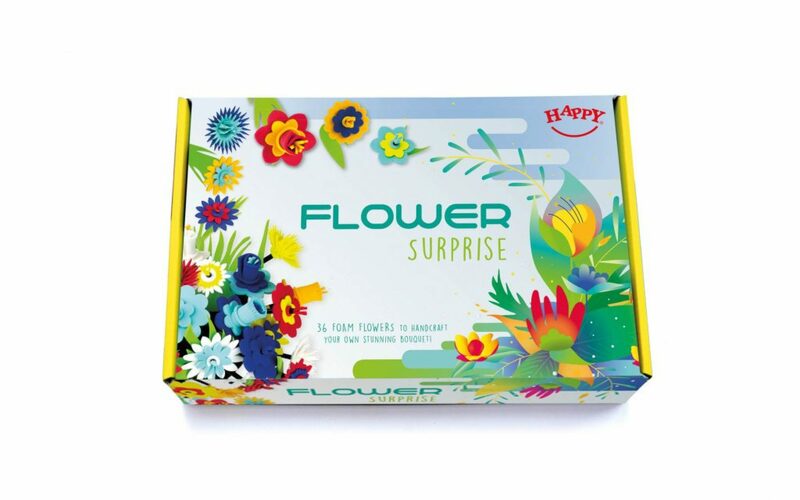 The packaging is fully eco friendly cardboard. 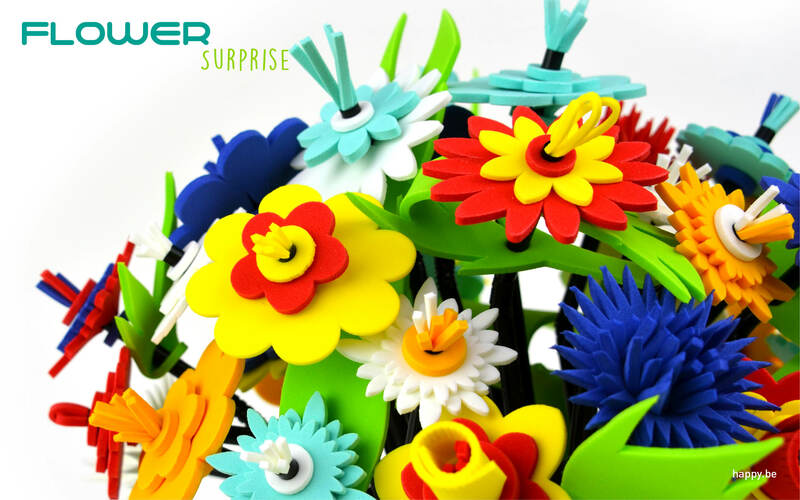 Inside are 7 precut foam sheets & 36 black straws.